The RSPB has suggested that milder winters and earlier Springs have contributed to its increased numbers; and it is estimated that there are now some 5 - 6 million breeding pairs of robins in the U.K. However, its populations can be ‘knocked back’ by hard winters – such as we have experienced recently. A small bird, such as the robin, can rapidly lose much of its body mass through a short succession of cold nights and days - burning its reserves (of fat) to generate heat energy to maintain its body temperature. They also use up energy in the search for food, which is often in very limited supply under cold conditions. 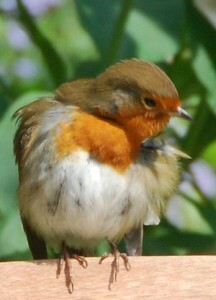 Whilst the robin is doing well, the same cannot be said for all other ‘red breasted’ birds . 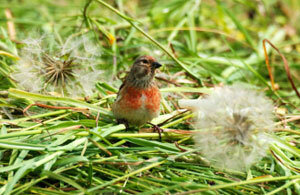 Male linnets, lesser redpolls and bullfinches also display red breasts, like the robin.